Undoubtedly, Maldives is an inviting country to enjoy and spend valuable time with near and dear ones. A plethora of enthralling things to do in the Maldives lures adventure enthusiasts from all over the world. From waterskiing, parasailing, fishing, snorkeling, etc. there are so many activities that keep the fun quotient high. 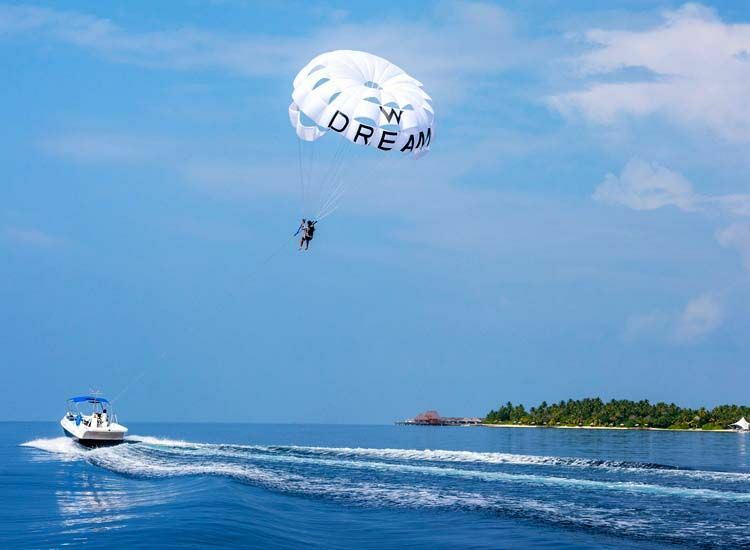 So, if you’re also seeking for some fun, check out the list of adventure activities in the Maldives that can evoke the daredevil in you. 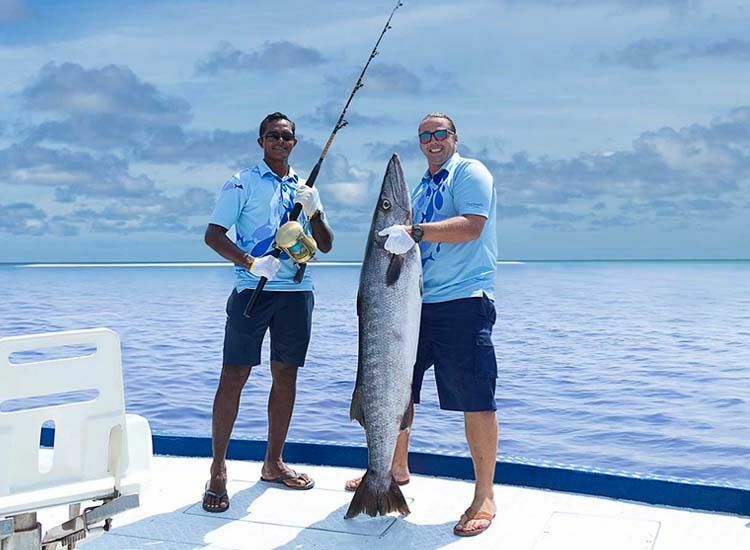 Reckoned as one of the best watersports in the Maldives, the Big Game Fishing enthralls you with a matchless experience. Feel the thrill as you are about to chase for and witness some of the rarest species of the marine world. Grab your chance to catch exotic fish like Marlin, Sailfish, Tuna, etc. Tips – Killing any form of sharks is strictly prohibited, leave very early to catch a ‘big’ prey. Next on the list of Maldives adventure activities is Snorkeling. Choose the thrilling expedition to explore the exotic marine life. Besides this, the variation of blue color featured by the ocean is sure to leave you spellbound. Wear the equipment provided and start discovering the treasures that lie beneath the azure waters. 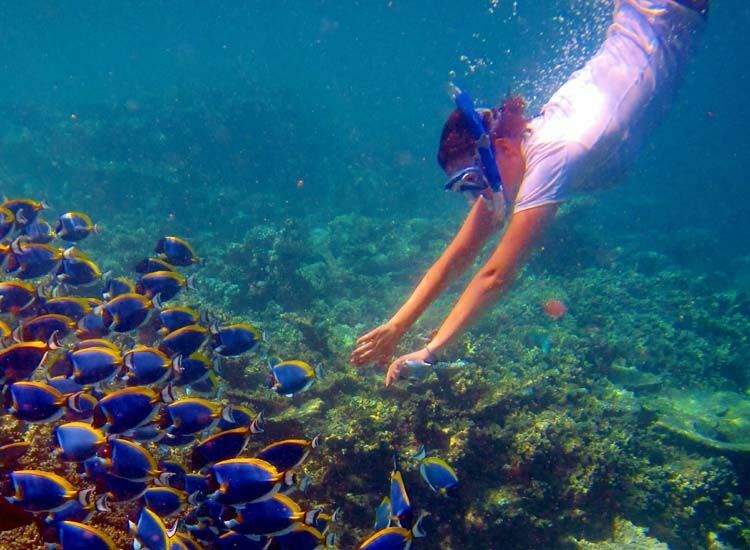 Tips – Check your gear before proceeding for snorkeling, try to regulate your breath. 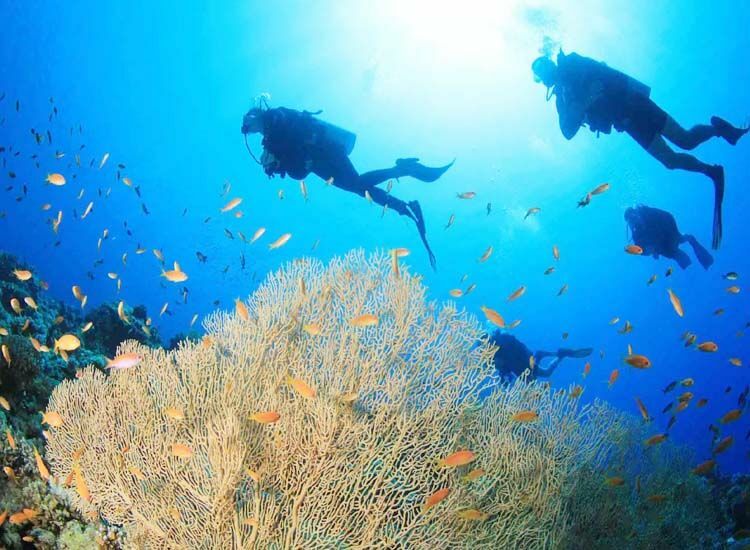 Many Scuba Diving enthusiasts plan a trip to the Maldives to partake in this amusing activity. Counted as of the prime scuba diving destinations on Earth, the country features an intriguing underwater world. Spot the vibrant marine life while delighting in one of the best diving experiences. Tips – Follow the instructions carefully, a few spots are ideal for beginners whereas a few of them are suitable for the professionals, so choose your place wisely. 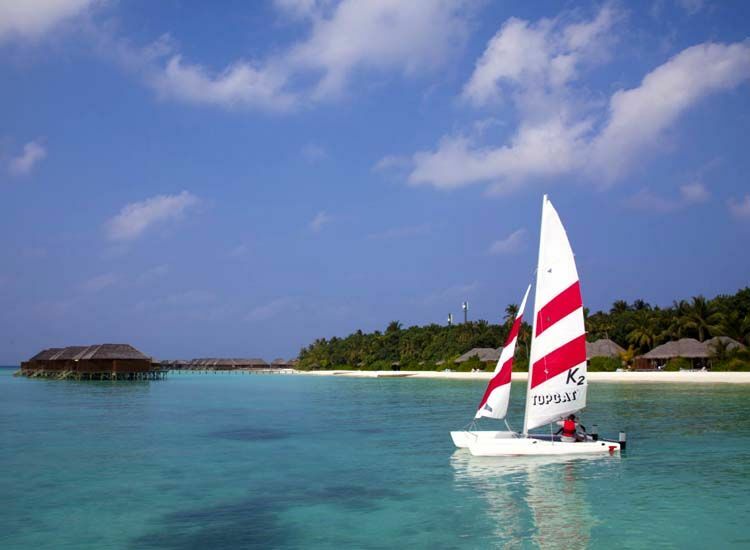 Catamaran Sailing is one of the must things to do when visiting the Maldives. Embark on this peaceful adventure and sail over the blue waters. Soak-in the panoramic views of the azure ocean and infinite sky as far as your eyes can see. Trying hand on the activity will help you curate memories of a lifetime. Tips – Apply lots of sunscreen, don’t forget to carry a camera. Fishing is not just a normal recreational activity in the Maldives, it is a complete experience in itself. 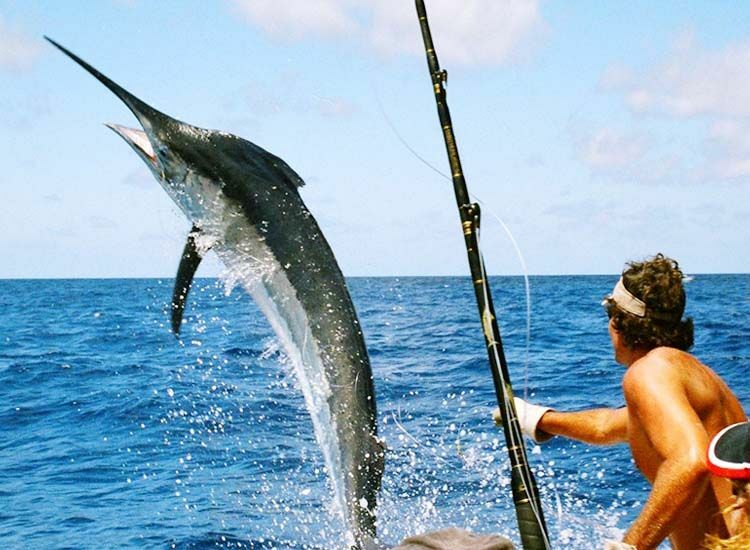 Maldives Fishing Safaris let you admire the picturesque landscape of the archipelago. A few of you make get lucky enough to boast about your catch. Bountiful of beaches in the Maldives houses a wide variety of fish and corals. Tips – Start your voyage early in the morning, keep patience until you get your share of the catch. 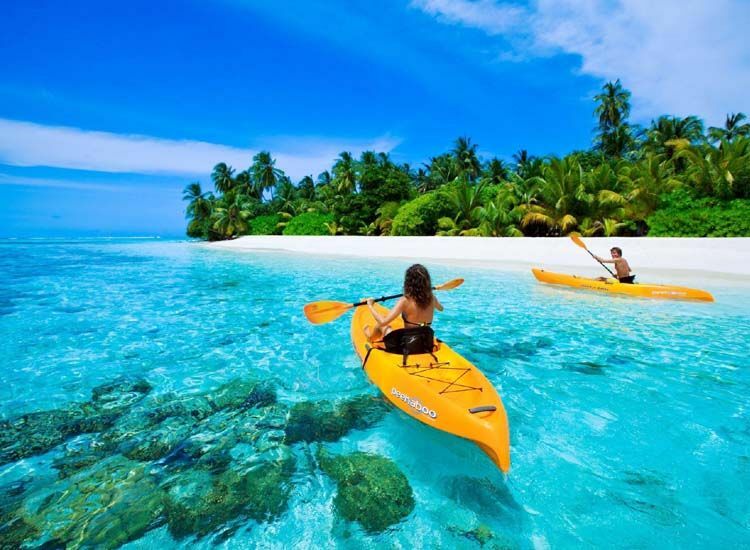 Practiced on either flat stretches of water, whitewater or rapids, Kayaking is one of popular water sports in Maldives. Feel the adrenaline rush as your paddle your boat over the cerulean waters using a double-bladed oar. Go solo or with your partner, the activity will be surely get etched in your minds and hearts forever. Tips – Learn how to paddle your kayak, do not go for kayaking during heavy rains. If you’re in for a real adrenaline rush then Parasailing is for you! The joy doubles up as you fly high in the sky while navigating over the vast stretch of the water. Get the first-hand experience of how the Maldives look from a height. Tips – Don’t forget to wear your life jackets, adhere to the instructions provided by your trainer. The Maldives is known for offering uncountable dolphin watching opportunities. Counted as one of the preferred things to do in the Maldives, Whale and Dolphin Watching completes your idea of holidaying at an exotic beach destination. 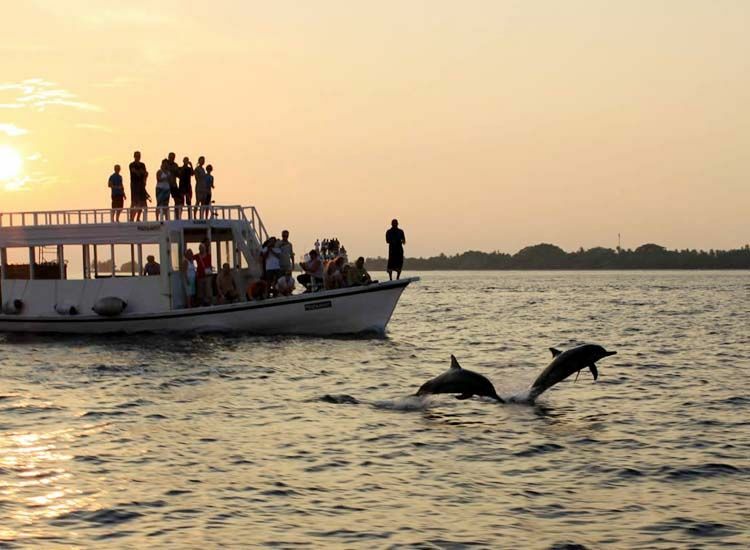 Dolphin Spotting together with Sunset Cruises offer a heavenly experience to be cherished forever. Tips – Best time to spot dolphins is between 9:00 am – 10:30 am and 3:30 pm – 5:00 pm, don’t forget to carry a camera. A paradise for enjoying water sports, Maldives welcomes Kitesurfing lovers from every nook and cranny. Surfing on the pristine lagoons offers a distinctive sensation to both the professionals and novice. 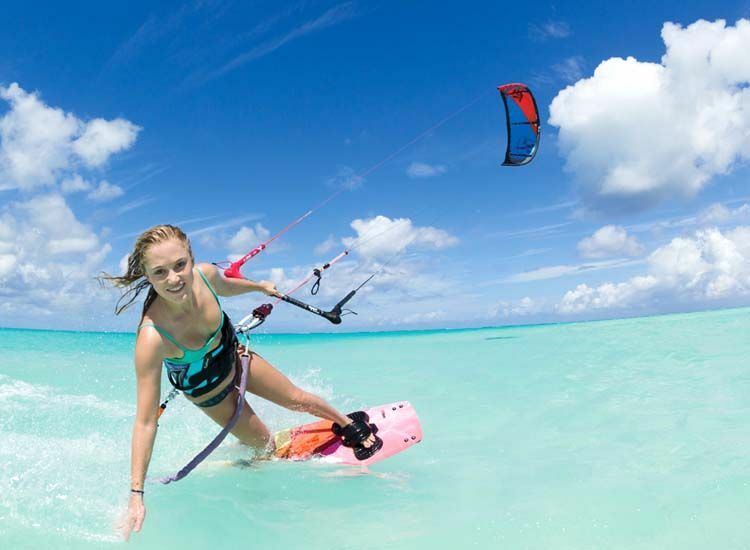 How about gliding over the ocean with a kiteboard under your feet? Performed in various style, the exciting water sports should not be missed at any cost. Tips – Work with a skilled instructor, be patient while you learn. Take your beloved along with you and brace yourself for an exhilarating ride. 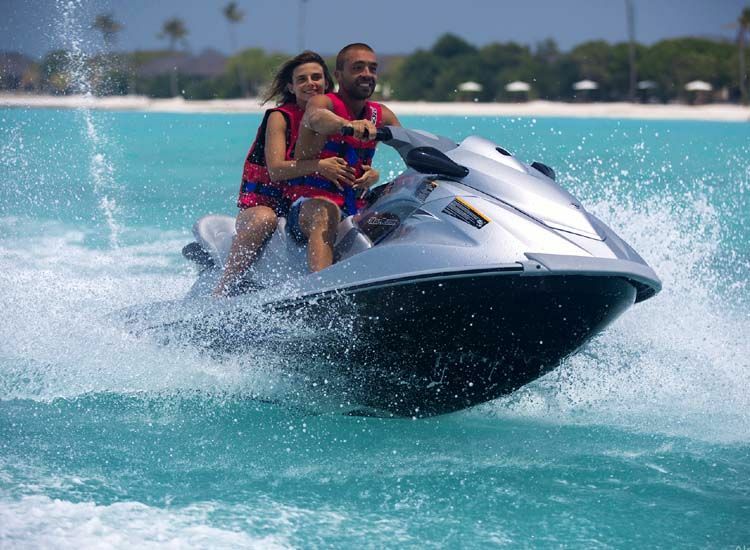 Jet Skiing is one of the best ways to make the most out of your Maldives tour. Let the shrieks of excitement and roars of engine fill the air. No other experience can be as exciting as this and thus stands out amongst the rest of water sports activities in the Maldives. Tips – Follow your instructor, don’t forget to wear your life jackets. Choose any or all of these fun things to do in the Maldives and you won’t get bored even for a single second. Rekha Bisht is an instinctive traveler who likes to roam about at whim. She is most likely to be found sipping tea in a remote tea-stall in Ladakh or making restless attempts at trekking the Chopta trek in Uttarakhand or something similarly bizzare! Thankfully, Rekha earns her meal with the words she writes and has been documenting her travels since she could say "Thunderstorm", which was not until recent.